The Great Falls Clinic Legacy Foundation is pleased to welcome two new board members, Suzanne Porter and Amy Pennington. The two new members are well-known members of the Great Falls community and have helped contribute to the Foundation’s success with the capital campaign by also serving on the Leadership Cabinet. Suzanne’s family moved from her home state of Arkansas to California’s Bay Area when she was a child. After graduating college, she began her career in San Francisco managing a law firm. Suzanne moved to Livingston, MT in 1983 where she was partner in a retail and wholesale art business. She relocated to Great Falls 21 years ago to pursue further education at UGF, leading to a position as the first executive director of CASA-CAN and later as a paralegal for Smith Walsh Clarke & Gregoire. 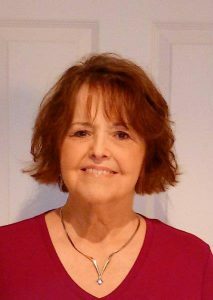 Suzanne retired from the State of Montana as a paralegal/accountant in 2015. She has served on the boards of the Livingston Depot Foundation, Livingston Art Council, Cascade Co. Food Bank, YWCA, and CASA-CAN. She loves being retired, spending as much time as possible with her two children, and going to the gym as much as time allows. Suzanne has been a long-time dedicated patient of the Great Falls Clinic and remains dedicated to helping the Great Falls Clinic succeed as well as the community of Great Falls. Amy is originally from Valdosta, Georgia and moved to Helena, Montana in 2009. 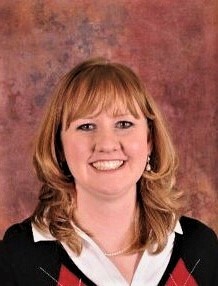 Amy and her family made the final move to Great Falls, Montana in late 2009 where she has successfully built her career in finance and accounting. Amy currently serves as the Controller at Pacific Steel & Recycling and has been with the company since 2012. Throughout her time in Great Falls, Amy has remained active in various community organizations and events including Leadership Great Falls, United Way and serving on her company’s donation committee. She has also served as Treasurer on the Family Connections MT board since 2014. She is a long-time dedicated Great Falls Clinic patient and is passionate about helping patients throughout Montana in need.